A Friday giveaway and some winners! Happy Friday! Or TGIF right? If you're in Canada then you're getting ready for the first long weekend that kicks off SUMMER! And oh how we've missed all things summer – bbq's, pools, flowers and of course longer days. Here is the interesting thing about being in publishing and media though, we've actually been working on our summer issue for the past six months. So we're really excited to see summer coming as that means the summer issue is around the corner! As we are finishing up the final design and photography, we can't wait to share the cover soon! And finally last week's amazing giveaway from Simple Stories, the brand new, not yet released Posh Carpe Diem Planner! Congratulations ladies! Please send your mailing address and telephone number (important!) to me directly at catherine@scrapbookandcards.com and we will get your information off to the sponsors of these amazing prizes! Now that we've announced those winners, let's finish off this great week by offering not one but TWO spots in our upcoming online class! One for you and a friend! The response has been amazing to the announcement of our online education platform and our first class. Thank you for always sharing the joy with us. For all the kind comments and great response to our new venture we're so pleased to offer a class you and a friend can do together no matter where you are. 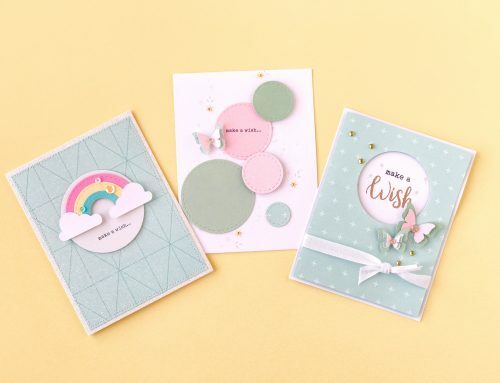 "Our inaugural class is based on the very popular Easy, Detailed, Expert article that appeared for 9 years in each issue of Scrapbook & Cards Today magazine! Join us for 6 weeks of tips, tricks and techniques from 6 amazing designers. For more information, click here. We look forward to connecting with you in a whole new way! Class starts May 27th!" To be entered to win, be sure to leave a comment below and tell us, in a few words, why your friend deserves this by Thursday, May 26! If you've already registered for this class and win, we'll be sure to refund your purchase. If you are interested in the class and would like to sign up before it starts on May 27, be sure to register here. Class alumni's will be given a discount on all future SCT Delivered classes too! Again thank you ladies for all the amazing things you bring to us here at SCT! Our readers truly mean the world to us. Oh please pick me and my BFF! She and I adore your magazine and would love to take your class together. Seeing as she lives in another state, this would be a perfect way for us to “attend” class together! 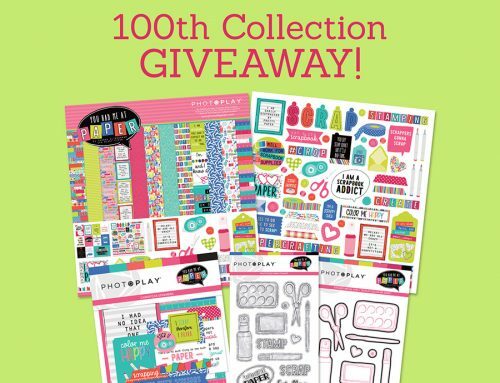 Thank you so much for the chance to win this awesome SCRAPBOOKING adventure! I would nominate my friend Sarah A. She has been going nuts lately worrying about her younger son’s confirmation, older son’s Eagle award and High school graduation, plus helping this boy make a few other milestones in his life. She really needs something fun for herself. My friend Jean is kind, generous, and creative – I can’t think of a more deserving crafter to win a spot in your on-line class. My friend Linda Chidster deserves this because she is taking care of her mother at her Mom’s house and still maintaining her own house and family. She loves to create and even though we have never met in person we are great friends! It would be nice to share this with her! Congratulations to all the listed winners! Oh My Gosh…I would LOVE to win this for my Friend. We are the best of friends through e-mail and she is always sharing cards and projects with me to make. We make them together and then share pictures by e-mail. I would so LOVE to re-pay her by winning the class for her!!!! Thanks so much for sharing with us! You guys are AWESOME!!! Sarah & I do all of our scrapping & card making together, so this would be perfect for us! I nominate my friend Donna Woods. I nominate my friend Tracey G. She is so much more creative than she gives herself credit for. We are always bouncing ideas off of each other. She inspires me. Big Congrads to all the winners! I would love to win a class as I never have had the opportunity to be in one before and I would nonimate my sister because I love her. Thank you so much SCT for all you do, share, give to your readers. You’re the best! I nominate my daughter and best friend, Jo-Ann. She holds a full time job as well as ensuring that her children have all kinds of activities from theatre classes, swim team , dance , sports, and still has some time to scrapbook with me. This is her relaxing time after all the fun times with her children. Her layouts and projects inspire too. My niece needs this class. Jennifer recently lost a hard drive full of her kids photos and she is now struggling to finish pages with the photos she’s been able to find and back up and print. I think this would be the inspiration she needs after this sad setback. I know my friend, Grace, will LOVE this class because she just got her Silhouette Cameo! SHE DOES SO MUCH FOR OTHERS AND NOT NEARLY ENOUGH FOR HERSELF. SHE LOVES TO SCRAP AND WOULD TRULY BENEFIT FROM SUCH FUN AND INSPIRING CLASSES! That class looks interesting, would love to win a spot! My daughter would love to attend this with me. We love to work together, making greeting cards. My friend Loly at work makes Every Single Birthday, Retirement, Good Luck, Best Wishes, Sympathy and Anniversary Cards for the staff at our library! She watches the training videos on her breaks to learn new techniques, she shares her tools with classes at the library and is extremely creative with our displays! She would love to participate in your class! My stamping friend is essentially a shut-in so this would be fabulous for her. Wow. Thank you so much! I won the ali Edwards giveaway. I’m so thankful & a little blown away but such generous giveaways! I am already signed up for the exciting online class but I’d love for my sister to be able to take it so maybe I’ll remind her about these awesome blog posts that I usually check everyday but Teresa Medeiros was so sweet and let me know I should check the blog today! So thankful for my crop & create ladies! Cannot thank Jen enough for putting us all together. Wow you always go above and beyond but this made my day! So awesome! Thank you SCT team! Thank you SCT for this opportunity. My friend and I often take the same online classes. We meet up every month and check in with how we are progressing through the class material. This keeps us accountable to completing the projects. I would love for her to win this class. She often helps me with colour choices or designs if a project is challenging. She’s smart like that! This would be so awesome! Thanks for the chance! I would love to share this class with my friend Rhonda! We are always trying new techniques and pushing our creative limits together. We had so much fun on iNSD playing along with your challenges (so inspiring). It would also be fun to review your new class on our very active blogs and social media. I’ve already signed up for your awesome new class, but if was given the chance to give away the class, I would pay it forward to my friend Debbie Selby and Jeanette Yee. 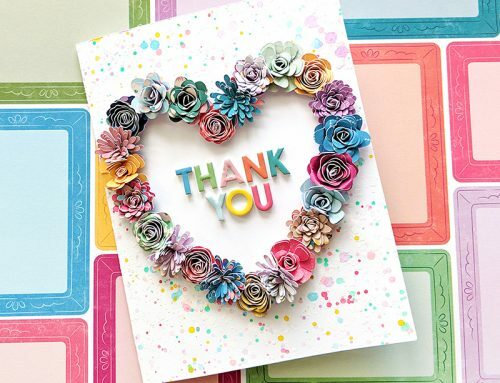 Thanks for all the fun days you offer to the scrapbooking community!! I would share this class with Jacqueline, who will have the summer to get crafty! We could use it at one of our “play dates” when she comes here or I go to her house to get some scrapping done. 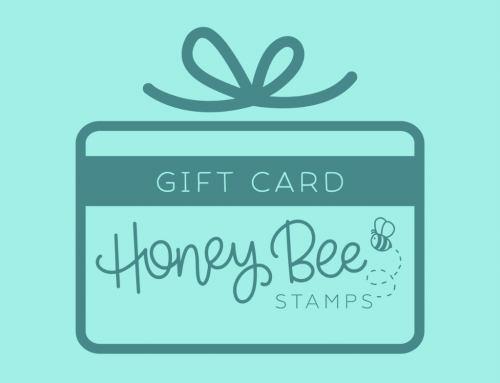 I would share it with my friend who loves scrapbooking and card making as much as I do! She is always there for me and I would love to do something for her in return. I would love to win this prize and be able to share with my 85 year old mother who is an avid scrapbooker. But she is more than a scrapbooker she is an amazing lady who has helped me with so much over the years, but over the last few months she has been by my side helping me so much as I suffered a terrible fall down the stairs and fractured my pelvis. She has been there for everything for me and I would like nothing more than to be able to share some fun times scrapbooking together! It would be a win win for both of us!! Thanks for the chance to win such an amazing prize!!! ? My friend Frances deserves this because she works hard, has a long commute, and is the most creative person I know. When we scrapbook together, she always makes suggestions that really improve my layouts! Thanks for the opportunity to win. It would be awesome to win this gift for my best scrappy friend, Nina! She has had some health issues, but always has a smile on her face! Her daughter is getting married too and this would be a great stress reliever. Thanks for the chance to win!!! I would love for my mother Sandra to win this. We have both been reading the magazine since the beginning and the easy, detailed, expert article was always one of our favourites. We enjoy scrapbooking together and find it a great mother/daughter bonding time. I think taking the class would really help to rejuvenate the brain into trying some different layouts and trying something new. It is always great to get new inspiration. My mom is always so busy volunteering for others that it would be really nice for her to have something for herself. Thank you for the chance to win! I have been trying to convince a friend to start scrapbooking. I think she is a bit overwhelmed with all the info online so having a structured event might be the way to get her started. Thanks for the chance to win. My online scrappy friend absolutely needs this….she used to work two jobs but recently quit one as the first job was taking over her life with lots of OT and weekends. We’ve never met “live” but have become fast friends swapping stories, ideas, even a pocket letter. She loves surprises! I would love for my friend Chris to win, she’s always doing everything for everyone else, so she definitely deserves to have this fun class for herself! Thanks for the chance to win!! My friend Cindy deserves to win this class because she is so kind and always shares her scrapbooking skills with others. I would love to win this class for me and my friend Pat Coleman. She is just now starting to scrap and this class wold be amazing for her. Thank you for the chance to win!!! I would share with my sister-in-law who makes the most interesting cards. Thank you for a chance to win. My friend Elaine loves to learn new techniques for her pages. She loves scrapping with others to learn new ideas. She hasn’t been able to get out much lately. This class would chear her up and give her new ideas. I nominate my friend Carli. She would love this class! She just got a Silhouette last year and loves to find out all the new things to do with it! Congratulations to all the winners!…..What fun you are going to have. 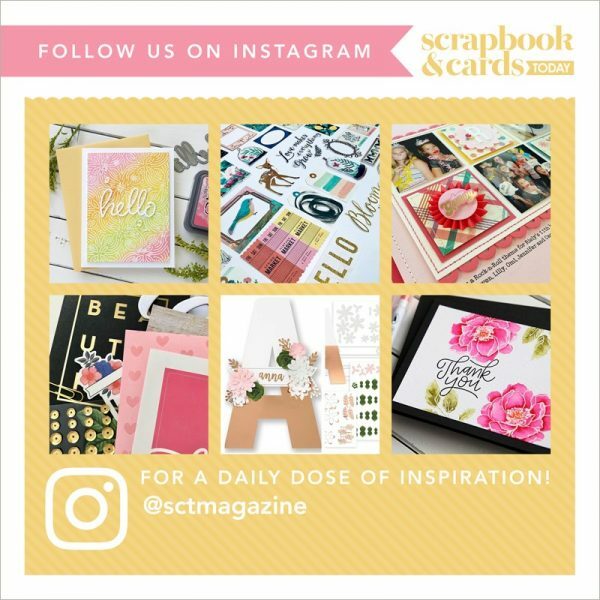 What a fun giveaway and my friend is a cardmaker, but I love that your tips work for scrapbookers and card makers. Looking forward to the classes. My friend Kim would love this class and would not be able to sign up as she is on a budget – I would love to take this with her! thanks! Well my BFF is my daughter, Sarah. We’re a bit stressed lately as we’re both preparing to sell our houses & buy one together! We do almost everything together & we all get along really well, so we’re working on this major lifestyle change. The only thing that never changes is our love of getting together to create things! I know my friend Mary would love to learn some new techniques to scrapbook all those pictures she has on her phone! The delivered on line class sounds great. I would like to share the class with my friend Wanda. I know that she would love it as she makes cards for a tuck shop in one of our hospitals and she does a great job. So I know she would love the class and would become even more talented. I would love to win this for my mom. We both love to scrapbook, but can’t always enjoy our craft together because we live so far apart. This would be a great way for us to connect without the long drive! I’m sure my wonderful friend Karen Mroczek would love this just as much as me! We both love your magazine! I would share this class with my friend Betty. She loves to scrapbook as much as I do and I am always telling her how much I enjoy taking online scrapbooking classes. Thank you for the chance to win a spot for both of us! If I won I would share with my mom Ronda! She’s an amazing grandma to my kids and the love for Scrapbooking we have would be great to plan scrap nights for the two of us to spend quality uninterrupted time doing what we love with one of my best friends! Thanks for the chance to win! Always learn something new from your teams ideas! The friend of mine who deserves to win this class is my mom, Rhonda. She deserves to win because not only is she kind, giving, and fun, but she is the most enthusiastic scrapper I have ever met! Besides all of her wonderful qualities, she also deserves to win because she really needs a joyful scrappin’ pick-me-up. She recently unexpectedly lost her best friend (and fellow scrapper). Normally, this is the sort of contest they would enter each other in, in fact. My mom deserves this class because no one is more enthusiastic about paper crafting than her, and she needs a little extra joy in the face of her recent grief. I’ve never had the opportunity for an online class. I would be delighted if I won a seat as I’ll soon be free on summer vacation. I think I would love my godchild Kaitlyn win this class as she’s very creative and a keen learner. I would love to win this prize for my best friend, Kelly. She has been the 4-H scrapbooking project leader for our club for a few years now, and has taken a break this year, because she feels lacking in new ideas and inspiration. 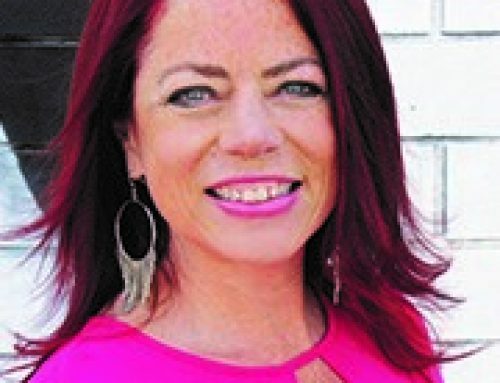 She needs to “get her groove back” before she can offer new ideas and techniques to teach the 4-H kids. This could be a step in the right direction. I would love to win and share a spot with a friend who has been ill. This would lift her spirit. She and I could learn a lot from the classes and I love the blog and magazine. I can’t lie; I love everything!! !